A Rug anchors a space. Defines it. Focuses a space using colour, pattern, texture & shape. A Selection of best selling in-house designs that you change in colour, size and shape to suit your project. View the CRONZ Classic Edition here. Working with our talented design team to translate your inspiration into a unique rug for you. Choose Classic Edition or Custom is right for you. Classic Edition: the repeat design is reflected in the pricing. You still get to select your individual colour options and size to make it yours, it is simply a cheaper option to enjoy. View Classic Edition here. Custom: you get EXACTLY what you want, unique to you and your home or project. The design, no matter how intricate, will be included in the price and each rug is priced to reflect our design teams commitment the vision of your rug. Select your Texture & Colour. Classic Edition: view the above options of the designs to see which textures and look and feel appeal. Try to disregards colour, work on texture - as we can recreate any design/texture in any colour. Custom: select the insipration and look you are after by gathering images or ideas and let our design team develop a few options to select from. For more on Colours, view here. Classic Edition: a sample in the design and colours will be sent to you to get the full impression of your rug. We will also send you the colour poms in combination specific to your selection. Find out more here. Custom: after a design consultation, an image of your design will be sent to you. Once that is decided on, a sample will be made to see the details of the design in the specified colours. Find out more here. For information on Selecting, view these helpful guide books. Rug Guide - How to select. 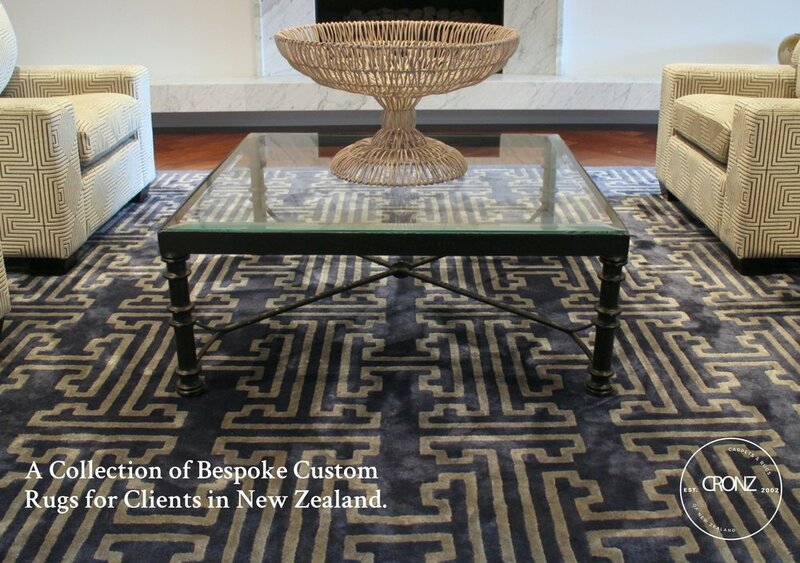 Rugs-custom and classic edition, rea rugs to edit in size and colour or custom designed.